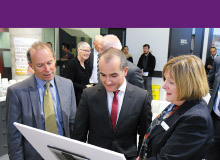 Launched by Deputy Premier James Merlino, the Ballarat Tech School to be located at FedUni’s SMB Campus will be a high-tech learning environment, with innovative education programs, linked with local industry. 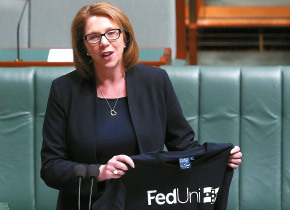 FedUni interacts with the Federal, State and local governments on a daily basis. Each tier of government, and the relationships between them, are involved in the ongoing business of the University. We will build on our government engagement experience to target policy, strategic and developmental opportunities that best serve the University and the wider public good. Government engagement is an important part of our commitment to serving the interests of the University and the wider community. Partner with local and state governments to attract higher education and VET students (including international students) to our campuses. Develop partnerships that allow for knowledge exchange between University staff and students, and government agencies and personnel. Create stronger relationships with local governments in the Grampians, Gippsland, South East Melbourne and interstate. Initiate collaborations with government bodies to facilitate implementation of the University’s strategic policies in the region. Attract funding by fostering, furthering or extending relationships between the University and local, State and Federal governments.